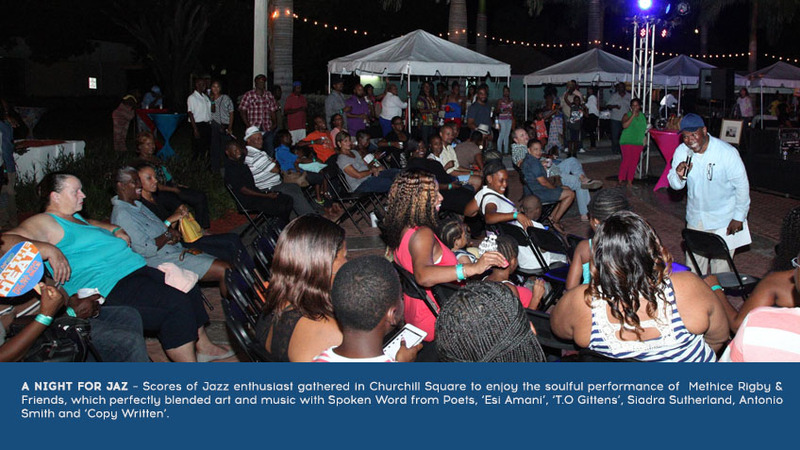 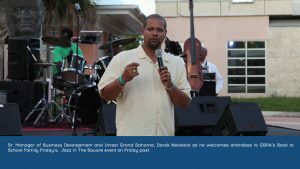 “Back to School Family Friday’s” (BTS Friday’s), an initiative of The Grand Bahama Port Authority, Limited (GBPA) and its Invest Grand Bahama Small Business Bureau (IGBSBB), brought Churchill Square to life, with ‘Jazz in The Square’. 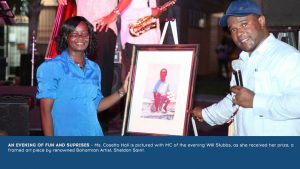 Merchant stores Patrice’s and Steppin’ Out featured a combined display which offered Jewelry, Scarfs and other trinkets all affordably priced. Nesbitt Rentals, Freeport Wild Wings, Chocolatess and Grill Masters were also present, offering tasty delights. Scores of Jazz enthusiast gathered in Churchill Square to enjoy the soulful performance of Methice Rigby & Friends, which perfectly blended art and music with Spoken Word from Poets, ‘Esi Amani’, ‘T.O Gittens’, Siadra Sutherland, Antonio Smith and ‘Copy Written’.